A man involved in a car accident last week that resulted in the death of a pregnant woman’s unborn child in Port Orchard has been charged with vehicular assault, according to the Kitsap County Prosecutors’ Office. The wreck occurred on Sept. 27 on J M Dickinson road. The fatal crash was a result of the man accelerating to prevent a car from passing him, the car in which the 18-year-old pregnant woman was a passenger. The driver of that vehicle could face possible charges as well, the Kitsap Sun reports. Investigators report that the man was driving a 2014 Ford Focus and was being tailgated by an 18-year-old woman driving a 2007 Corolla. The man accelerated several times when the Corolla attempted to pass on the left side. A final attempt by the Corolla resulted in a head-on collision with a Honda minivan traveling in the opposite direction. The driver of the minivan and her 5-year-old daughter suffered minor injuries. The driver of the Corolla suffered severe injuries. The driver of the Ford Focus – a 52-year-old Port Orchard man – called 911 to report the crash, then continued along the road. The woman was 31 weeks pregnant with a due date Nov. 27. Court documents say that doctors performed an emergency C-section to remove the unborn child. Can You File A Wrongful Death Lawsuit For The Death Of A Fetus? In most wrongful death claims, Washington State’s wrongful death statute will also apply to an unborn fetus if the fetus was “viable.” That usually comes down to medical testimony, but essentially a viable fetus is one that was healthy and was expected to be born healthy if the death of the fetus not occurred. The wrongful death of that fetus is a recognized cause of action under the statute. What this means is that a child does not have to be physically born before a claim for wrongful death can go forward. In addition to criminal charges, it’s also possible to make a wrongful death claim in civil court for damages. If your loved one was killed by because of someone else’s negligent driving behavior, you may be able to get compensation for grief counseling, funeral expenses, the loss of their income, the loss of their emotional support, and other expenses. 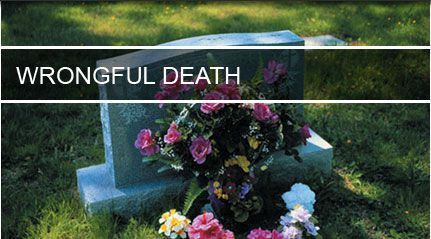 While no amount of money can possibly compensate a bereaved family for the loss of someone dear to them, an experienced wrongful death lawyer can help you understand your legal rights as a victim. If you have any questions about the way wrongful death lawsuits work in Washington State, the legal team at Davis Law Group, P.S., is here to answer them. You can speak with our legal team at any time by using our convenient chat feature below, visiting our contact form on this page, or calling (206) 727-4000.